My time at Richmond Vale Academy has come to an end. When I just arrived I was very proud at myself because I’m not a traveler at all. When I’m at home I rather stay close to the people and animals I love. I saw Stina’s videos on YouTube about two years ago. She was dancing and communicating with her horses in a way I really liked, she inspired me. When I looked at her website I saw the option about working as a student with horses. At the time it felt like a faraway dream. But last October she was searching for new students. First I still thought it was something I wasn’t able to do. Traveling by my own, no way! But when I saw it a couple of times appear on Facebook I couldn’t resist anymore. From then it went very fast and now my time in St. Vincent is already done. The last years I went through some struggles in life which in the end made me stronger. Now I really proved to myself that I’m capable of more than I could ever think of. The first weeks weren’t that easy and I needed time to settle down. I had to live in a community. Wow! People everywhere and always around, having meals and activities together, speaking English. That was a big difference compared to home. But people were so welcoming and kind that getting used to this lifestyle didn’t take me long. 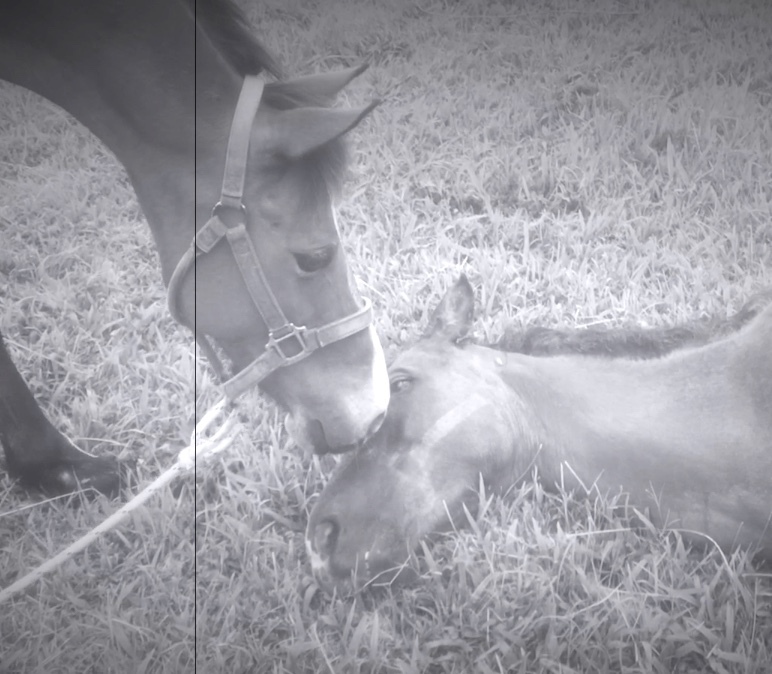 When I first met the horses I realized that being with horses you don’t know was again a challenge. But it was also my first lesson in communication. Because now you had to “see” the horse first as an independent living being before you could do anything else. I have personally developed as well because within this new situation I realized I was living/practicing some old patterns again. I started focusing on my environment. With that I was thinking a lot about what other people would think instead of taking care of my own needs. Being aware of that, giving it some time, writing blogs and talking to some people helped me to reconnect with myself. After that things went a lot easier and I started to really enjoy my time here. I saw all the beautiful things around me and appreciated the paradise I was living in. With this blog I want to thank Stina who gave me all these wonderful lessons and made a lot of beautiful photos and videos. I also want to thank David for showing me around this beautiful place. Rosanna who allowed me to join the Sahaja clinic with her and became my new “horse” friend. Andrea for becoming my friend and giving me support when I needed it the most. Lilith for all the horse talks and Sara for blogging with me. And of course the other students and teachers for welcoming me and spending time with me. A very special thanks goes out to my best teachers: the horses Spirit, Jack, Elena and Magic. Soft and gentle Spirit. What I like about Spirit is that she’s so easy to connect with and she has a very nice habit to sniff all around your face in a very kind and gentle way. It feels like she’s giving you so much love but I think she’s just trying to figure out what you’re up to. She taught me to live in the moment and stay connected. Adorable Jack. He looks so dreamy, like he’s living in his own world. But when he wakes up he’s a completely different horse. He’s paying attention and being active. He taught me to be aware of my energy and stay focused all the time. Sweet Elena. She is so cute, with her small body and big ears. She really likes to be groomed and will ask for it when you’re nearby. She was my best teacher to become more secure in a calm and steady way. Pretty magic. Magic is a very beautiful horse. She is a horse who’s always ready to go, it doesn’t matter where to. And she has a lot of ideas. With her I could practice to be more patient, to wait and tune in with the environment. My time went with ups and downs, feeling homesick once in a while but most of all appreciating being here. With lots of life lessons, trial and error, frustration, practicing, gratitude… Sometimes I wanted to give up but I realized that would bring me nothing. I learned to focus more on the things I wanted to accomplish instead of feeling bad when things went different. But my mind is very stubborn so this is still challenging. Now I’m going back home and I can take my lessons with me in real life. I will continue practicing with my own horses, figuring out who they really are and look for the lessons they can teach me. After that maybe I’ll be able to teach them something as well. So I finally can give them something back in life. 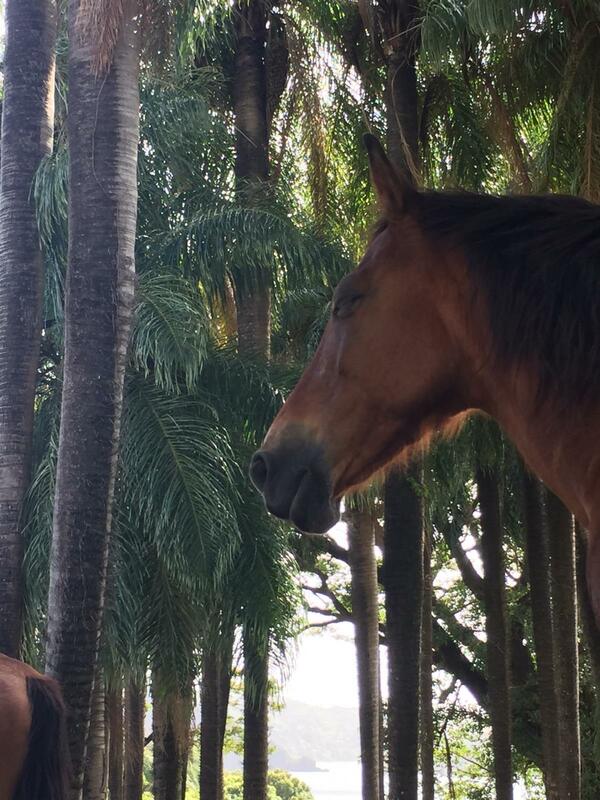 Thank you so much for your blog and for being here taking such great care of the horses. It is not sentimental, not jealous, nor judgmental. Gratitude does not envy or compare. the care that supports every single life. in the good fortune of others. Next Knowledge and Equestrian Teachers. Amazing blog post- thank you for sharing! I understand that you’ve had some amazing challengers that have taught you important things about yourself that will matter for the rest I your life. Richmond has so much to offer and doesn’t leave anyone untouched with its beauty. I am also one of those who feel so grateful to have had the chance to be a part of the daily life in the school, with all the amazing people and animals, for not mention the surrounding nature ! Thank you Stina!!! Thank you for writing, it is always so nice to hear from you. I remember the night after taking care of Darling for so many days hard to count. The night and stars had arrived in their usual cycle. We were exhausted and had surrendered. The tent in the field sheltered us from the rain. Nobody said anything. Only the rain and the frogs were speaking. We listened to the rhythm of rain. We listened to the frogs. We listened to each other and to Darlings last breaths. Finally, we laid our heads and bodies to the earth inside the tent. It was quiet, even though the drumming rain was loud. As the rain poured as tears from the sky down to Mother earth and we listened to a beautiful soul returning through the rain to the other side. It would be a dream to come spend time there in St Lucia! I’ve loved reading your blogs and those of your working students. It all resonates with me and is so along the lines (not confines) of what I’m learning is my way of being with horses. They have been and continue to be a lifelong passion of mine…….only in the last few years am I beginning to understand why. Thanks so much for the inspiring work and for SHARING it with us! Dear Elaine, thank you so much for your comment I really appreciate letting us know the blogs are of inspiration to you. Well …. it all starts with a dream. Write to me any time when you like to discuss how your dream can become reality. We always need working students! We have a clinic in December, could you make it to that one? Much sunshine from St. Vincent.